Young children, their parents, and students will probably still remember the BBC's phenomenally popular children's series Balamory. For the rest of us it was a little like Play School, but with a collection of characters set against the beautiful and brightly painted backdrop of the Isle of Mull's main village, Tobermory. 254 episodes were made between 2002 and 2005, when filming ceased. Although the series is no longer made, its arrival on DVD and repeats on children's television have given rise to a new generation of young fans. The result is that the steady stream of families with young children making the pilgrimage to Tobermory from all parts of the UK and beyond continues undimmed. This page is designed primarily to help intending pilgrims. For the avoidance of doubt, this is not the official BBC Balamory website, which fans should visit. Those intending to visit Balamory might want to bear a few things in mind. Accommodation and Ferries. Mull has long been a popular destination for those who enjoy the beautiful scenery of this surprisingly large and thinly populated island (300 square miles and 2,732 residents), and for the 140,000 or so making the more traditional pilgrimage to Iona each year. Ferry services to Mull and accommodation on the island are geared up to serve traditional levels of visitors, and both have been put under pressure by the additional numbers coming to Balamory. If you are planning to visit Mull, especially during what is now a very long peak season, make sure you have booked your accommodation and your return ferry in advance. Otherwise you risk leaving yourself without either accommodation or a space on the last ferry to the mainland: and a night in a car with young children seems as good a way as any to spoil a holiday. Ferries on the three routes serving Mull are operated by CalMac, and timetable and booking information is available on their website. 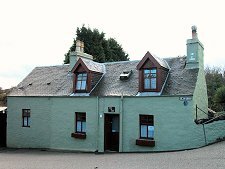 For accommodation on Mull, check out our lists of links to Hotels & Inns, Guest Houses and B&Bs, and Self Catering Accommodation. Driving on Mull. The Oban ferry lands at Craignure, near the eastern corner of the island. From here it is 35 miles south west to Fionnphort to catch the ferry to Iona, and 21 miles north west to Balamory or Tobermory. What surprises many drivers, especially those new to Scotland, is that most of Mull's roads are single track. Even the main route from Craignure to Balamory or Tobermory involves about 8 miles of single track driving and it helps greatly if those visiting the island know how to approach it. For more information about driving Scotland's single track roads, visit our feature page. The Balamory Experience. 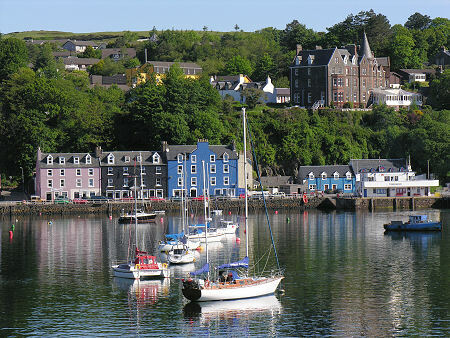 Visitors to Balamory find, at Tobermory, a stunningly attractive village curving around a harbourside and climbing the hill behind. 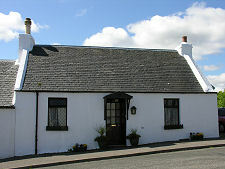 Many of the locations used in the TV series are in the village, though some are private homes and the privacy of those living there should be respected. 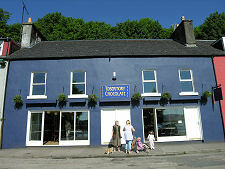 A range of Balamory clothing can be purchased in the Tobermory Corner Shop on the Main Street overlooking the harbour. The Balamory location you won't find in Tobermory is Archie's Castle, which actually lies over 170 miles to the south east, near North Berwick. 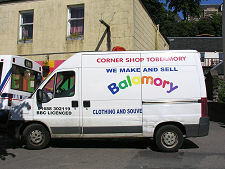 The tourist board produce an excellent leaflet about Balamory, identifying the the various locations in Tobermory. This is available from the Tourist Information Centre at the far end of Main Street in Tobermory. Note that this only opens from April to October, so at other times of the year make sure you stop off en route for a copy at the Tourist Information Centre opposite the ferry terminal at Craignure. 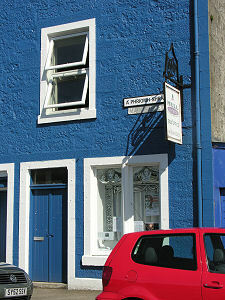 If wandering around Tobermory with young children, one thing to be very aware of is the traffic, especially on Main Street around the harbourside. Options. 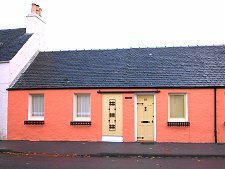 Visitors to Balamory should bear in mind there are a number of options available if you can't find accommodation or a vehicle space on the ferry: or if you want to combine a short visit to Balamory with a wider exploration of western Scotland. Public transport on Mull is quite good (details from Traveline Scotland). 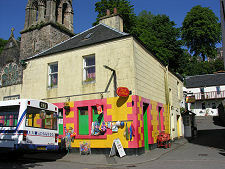 One way to visit Balamory is as a foot passenger on the ferry from Oban to Craignure, then connecting with the bus service to Tobermory. 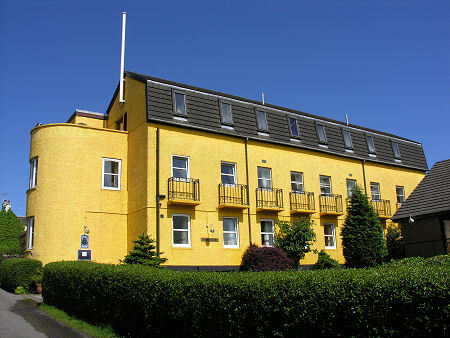 This way you can take advantage of the larger pool of accommodation in the Oban Area, and you don't need to drive on Mull or book a vehicle space on the ferry. A less obvious but equally viable option is to stay in the Fort William Area or Mallaig Area and drive down to Lochaline, from where you can take the less busy ferry to Fishnish on Mull. This involves first crossing the Corran Ferry south of Fort William, and then a 30 mile drive to Lochaline, the last 18 of which are on good quality single track roads. 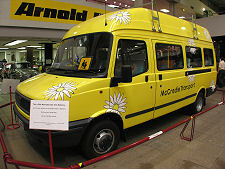 By far the most adventurous way to get to Balamory is to drive west from the Corran Ferry or south from Mallaig to Salen, and west along the Ardnamurchan Peninsula to Kilchoan. 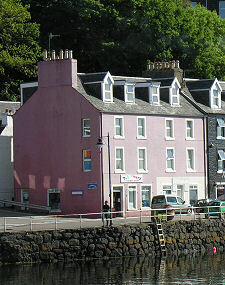 From here a ferry service operates directly to Tobermory. This route involves a great deal of single track driving, but does allow you to see some very beautiful and little visited parts of Scotland. 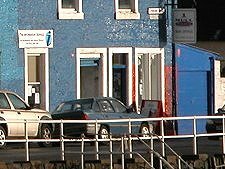 All three ferry routes mentioned on this page are operated by CalMac, whose website gives timetable, fare and booking information. 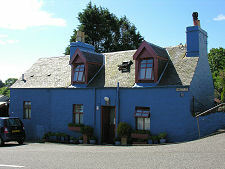 Bear in mind that you can combine different ferry routes for an interesting circular tour taking in Balamory. Check for combined ticket information on the Hopscotch area of the CalMac website. But Shouldn't it be Red?